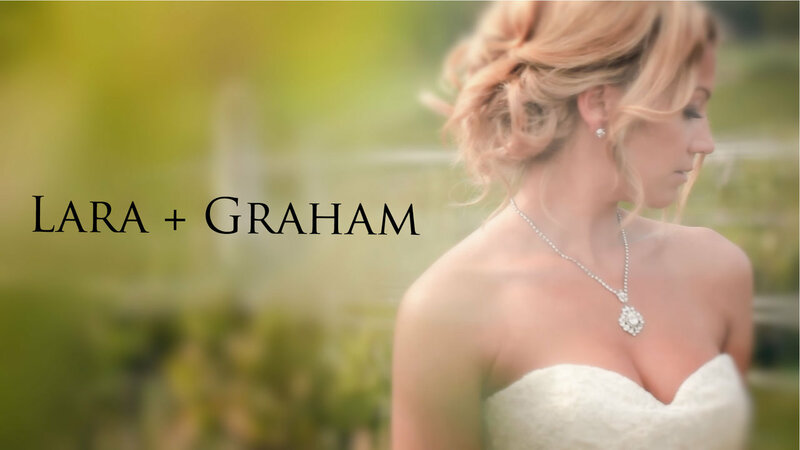 Wedding Videographer Lara and Graham Wedding Trailer Video – Sweet and Romantic Destination Wedding – Wedding Videographer Life Studios Inc.
With a venue as beautiful as their love, Lara and Graham were married at the picturesque La Stella Winery in Osoyoos, BC. The day could not have been more gorgeous and we couldn’t have been happier to be part of such a lovely wedding! From walks through the vineyards to a boat ride on the serene waters of the lake, Lara’s and Graham’s wedding day was filled with happy moments and shared by beloved friends and family. You could tell by the look and smiles on Lara’s and Graham’s faces when they shared a first look on the dock of the beautiful lake that these two are truly meant to be together. The love filled ceremony was held outside on the grounds of the winery where they shared personalized vows that resonated with feeling in every word. “Graham, with gratitude I stand here before you. I am blessed to have you in my life everyday as my best friend,” says Lara. “Lara, I humbly ask you to marry me and make me the happiest man in the world. To say that I love you does not do anywhere close to justice” shares Graham in return. Lara’s and Graham’s vows captures the sweetness, romance and overwhelming love of their romance filled destination wedding. A beautiful reception followed under white tents with chandeliers, white flowers and gold accents. Bagpipes played and Graham wore a kilt as a nod to his heritage. The evening was filled with laughter and emotions as Lara’s sister made a touching speech and Lara and Graham had their first romantic dance as husband and wife. Not only did we get to experience the beautiful surrounding of La Stella Winery but we were blessed to witness a joining of two amazing people and the incredible love they share! We wish all the happiness to you Lara and Graham! We hope you enjoy the Wedding Videographer Lara and Graham Wedding Trailer Video!